A selection of free resources for both primary and secondary schools, related to the Commonwealth Games and the Glasgow bid. Middle school students who perform more vigorous physical activity than their more sedentary counterparts tend to do better in school, according to a study published by researchers from Michigan State University and Grand Valley State University. It’s long been speculated that fitness and improved academic performance go hand in hand, said Dawn Podulka Coe, the study’s lead author. 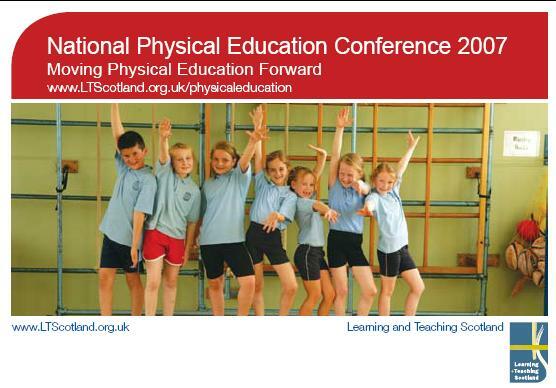 Full details of the conference, the workshops and how to book your place are now available through the LTS PE Website in the professional development section. Dr Groves suggests we should provide classes which cater specifically for the needs of the overweight. My initial response to this was “no way” would it not stigmatise these pupils further to be singled out and put together in the “fat class” or whichever other derogatory term their mindless peers would attach to the group. Then I stepped back and thought about it . PE is a very public experience and failure is on view for everyone to see whereas in maths it need only be between the teacher and the pupil. Therefore feelings of inadequacy can be reinforced if failure in PE is handled in the wrong manner. There is no doubt that being overweight or obese can have a negative impact on performance in PE in many situations and thus impact on the pupils learning experience. 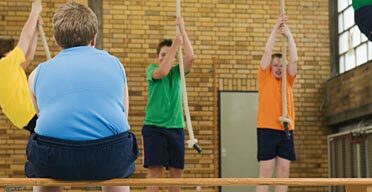 Maybe obesity and overweight issues should be viewed as a barrier to learning in PE in the same way as reading difficulties are viewed as a barrier to learning in other subjects. When these barriers are identified in other subjects support is provided on an individual basis and depending on the individuals needs their timetable can be modified and they may receive additional targeted support in specialised teaching situations. Should we not do the same with obese and overweight pupils? Provide them with specialised targeted support to help them overcome their barriers and be able to progress towards an active and healthier life. Provide them with additional lessons that provide a safe, supportive environment where they can overcome the physical and undoubtedly emotional barriers that would allow them to access more of the curriculum. I am not advocating removing these children from PE and giving them a different experience. I am advocating targeted, specific additional lessons that supplement their mandatory PE lessons. I am also not necessarily advocating that these additional lesson should be solely the preserve of the PE department. Obesity is a complex issue and should have a multi agency approach that covers not only physical but also emotional, social and nutritional health. 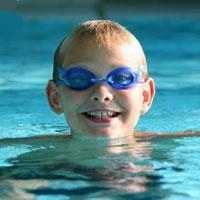 Though physical activity and the PE department should be at the heart of it. Why? Well lets face it there is the health and mortality issues from being overweight this should possibly be reason enough to be provided with additional support not many people develop the same range and frequency of symptoms that impacts on their health and longevity from not being able to read! Not that I am suggesting that being unable to read is not an important issue. Dr Groves highlights another reason ” the demands being placed on the profession are sufficiently diverse as to result in teachers being unable to address the specific needs of these children within PE lessons”. This however is not an excuse to ignore the children facing these difficulties we must ensure that what we teach is differentiated and allows these pupils to access PE at a level which is appropriate to their ability. However we must handle this sensitively without inadvertently drawing more attention on to these potentially self conscious pupils. The Guardian article Schools told to tackle teenage obesity crisis 15/10/07 highlights some shocking statistics. An official study to be published on Wednesday will predict that half the population could be obese within the next 25 years. The Foresight report is also expected to say the epidemic will cost the country £45bn a year by 2050 if the loss of productivity from people who suffer obesity-related health-care problems is added to the cost of treating them. If this was attributed to a literacy or numeracy problem I wonder how much money would be thrown at it to support schools in making a difference? “Schools should be doing more to convince teenage girls to take part in sport including scrapping “embarrassing” gym kits and offering alternative activities such as Frisbee and yoga sessions in an effort to halt the growing obesity crisis, the secretary of state for families Ed Balls has told the Guardian”. He has also called for parents to help to tackle the issue as well. I think schools, PE departments and in deed parents in Scotland could take a much more proactive role, but not without more funding and support to do so. This would require some major investment but it would still be a fraction of the estimated £45bn per year to deal with treating the symptoms of obesity. A worthwhile investment? Undoubtedly in my opinion but I wont hold my breath waiting for it. Teachers TV programme about some ICT resources for primary PE. Watch the video on your computer it makes reference to the following resources. Watch other PE specific videos on Teachers TV. Some of them are really good and if you sign up to Teachers TV you can download the videos to your computer.